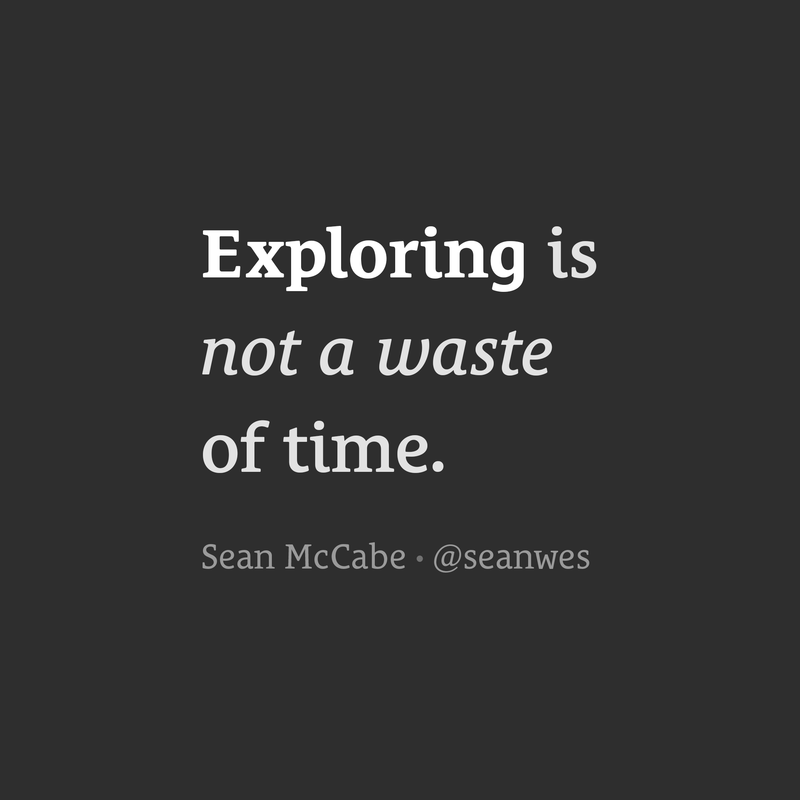 Exploring is not a waste of time. Give yourself permission to enter into an exploratory phase. If you haven’t spent time doing something you think you might be passionate about, permit yourself to try it. Allocate time to the act of doing it. Thinking about it will get you nowhere. Just pick any one thing. It doesn’t have to be the perfect thing or the right thing. For the next several weeks, set aside time each day to practice, learn, and do. Make mistakes. Immerse yourself in that world as much as possible. Try it, and see if you like the act of doing it. The next thing you pick almost certainly won’t be the thing you do for the rest of your life. You might think of that as the “wrong” thing, but you often have to go through seasons of picking the “wrong” thing several times in order to end up at the right thing. Discover what you don’t like to do, and you will gradually get closer to discovering what you truly love to do. None of this is a waste. The skills and experiences you acquire along the way will continue to serve you. The more you try to feel like you have all of your stuff together before you take action and move forward, the longer you’ll be stuck. You’re not going to have it all together, so don’t feel like you have to. Don’t wait for everything to feel right. It’s not going to happen—ever. Realize that if you choose something, try it, and find you don’t like it, you’ve figured out what you don’t want to do—and that’s progress! If you don’t know what your passion is, just do something. Take action.